Sometimes trials feel like aggressive adversaries. Problems can seem like uppercuts to the chin and right hooks below the belt. Troubles come in the form of extra-long waiting periods, rejections, losses, unexpected life changes, relentless pain, or well-earned weariness. Can I get a little help here . . . will you, please send assistance to my family, my friends . . . soon, Lord? We want to believe, to wait on God expectantly, bravely, and joyfully. But sometimes the wait of suffering presses into our hearts until we fall onto our knees in weeping worship. It’s easy to consider this a moment of weakness. But these tears are soul-deep prayers through which our spoken or unspoken needs drop into the gentle, open palm of our sovereign Savior. 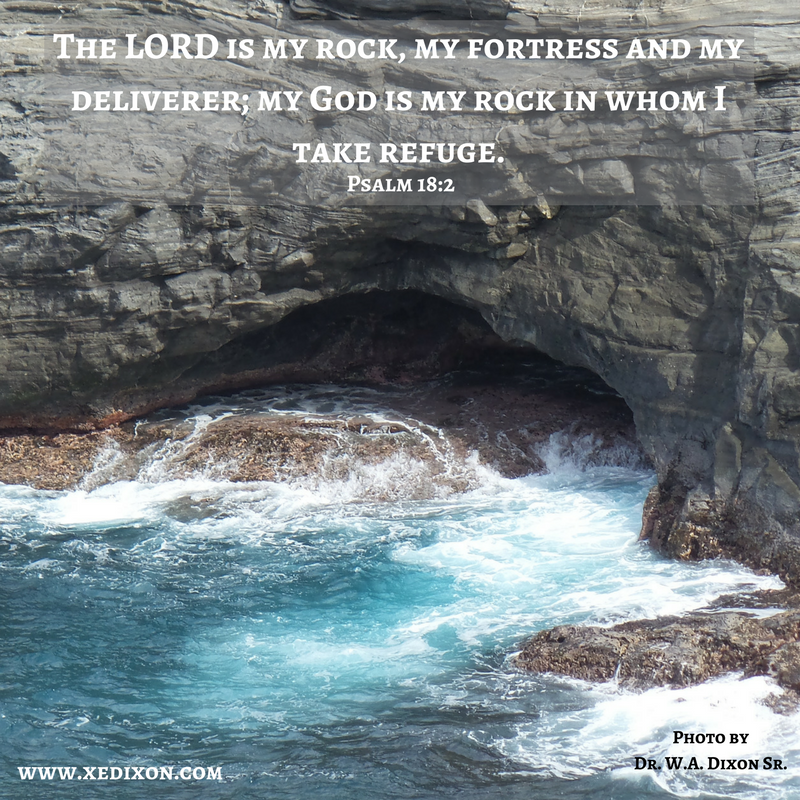 Like the psalmist David, we can cry out to the Lord without worrying about the volume of our groans. Our hope remains secure in the hands of our dependable, personal, and merciful Master (Psalm 40:1) who has given us a history of His faithfulness. God has lifted us out of the “slimy pit, out of the mud and mire,” setting our “feet on a rock” and giving us “a firm place to stand” more times than we can count (v. 2). When sorrows smothered our joy and we couldn’t see hope piercing through the dark clouds of affliction, the Lord put a “new song” in our mouths (v. 3). He plucked the refreshing lyrics from His infallible Word‒the Bible‒the unchanging truth revealed by the Holy Spirit. The chorus affirmed the power God the Son’s sacrifice on the cross, His resurrection, and promise of eternal life in heaven to all who come to the God the Father through repentance and forgiveness of sin to devoted obedience to Christ as Lord . . . life empowered by God the Spirit. This new song evoked great praise (vv. 3-4). So, when the fog on the horizon dims our hope, we can look back and rejoice over the many wonders God has done, the mundane moments of grace-filled love and the miracles we still can’t explain away (v. 5). Yes, we can rely on the Lord’s all-knowing goodness no matter how heavy our burdens, how hard our paths, how long our wait, because He assures us that every step is ordained and ordered according to His perfect will and flawless timing (v. 5). The King of Kings helps us obey Him, trust Him, surrender to Him with heart-deep devotion. He helps us proclaim His majesty, as we hold strong to our Redeemer’s immutable truth and irrevocable love (vv. 6-10). 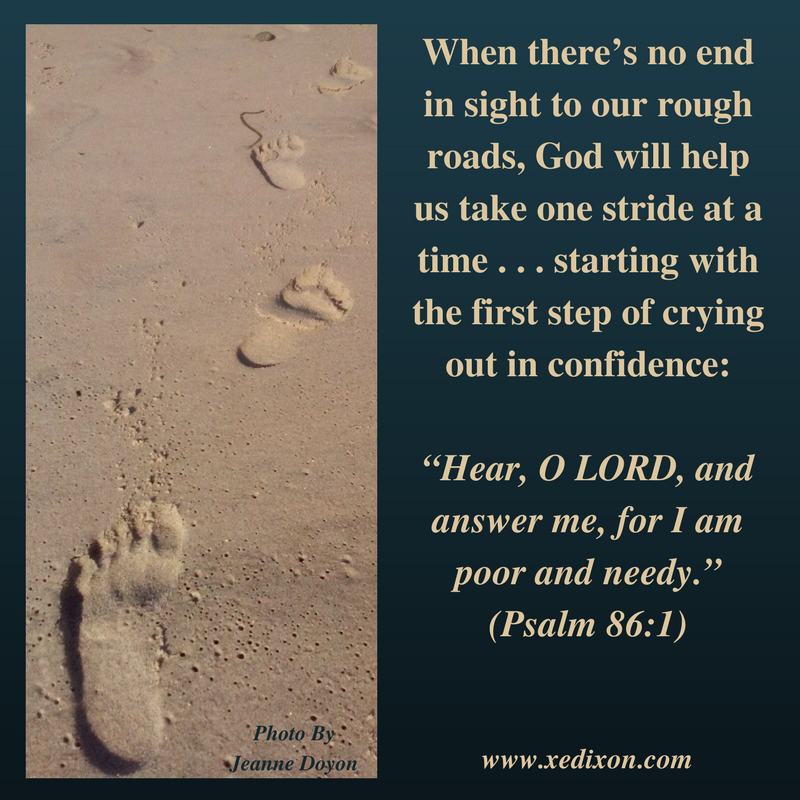 We can wail or sob softly, while approaching the Lord with confidence in His compassionate and capable hands. “Do not withhold your mercy from me, O LORD; may your love and your truth always protect me” (Psalm 40:11). Though troubles will come, God’s matchless grace prevails. Though our sinful nature will sometimes tempt us to dip our toes into the mud and mire that the enemy uses to distract us from living in the wake of our inheritance, God remains reliable and invites repentance that leads to restoration (v. 12). We need not fear hardships or people who try to hurt us, intentionally or accidently (vv. 14-15). We can weep as we worship, exalting the name of the Lord Almighty (v. 16). He knows we’re “poor and needy,” desperate for His deliverance, and anxious for Him to come without delay (v. 17). There’s no need to hold back tears for fear of looking faithless. As we accept our weaknesses, we can believe our weeping reaches God’s ears as confident and courageous war cries of unshakeable faith. Faithful Father, thanks for reminding us that weeping can be a strong show of faith in Your soul-stirring and enduring love‒the solid foundation of our eternal hope. In Jesus’s name, Amen.